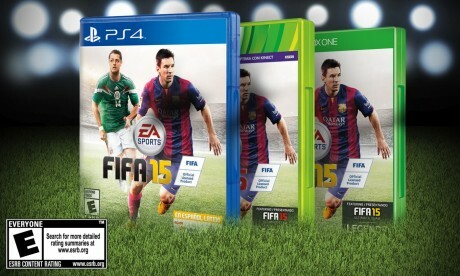 Groupon has a FIFA 15 Sale for PS3, PS4, Xbox One, and Xbox 360 at $39.99 Free Shipping. $56 at amazon. Emotional Intelligence Engine - For the first time ever, FIFA 15 models the emotions of all 22 players on the pitch, giving fans a chance to experience first-hand the attitudes and personalities of the world’s best soccer players during a match.